Dangling a single blood-red Staccato cherry by its green stem, anticipating the toothsome crunch and sweet, mouth-flooding juice, is nearly as pleasurable as consuming it. It's glossy, with light-red pinstriped speckles, and so plump it seems to be swelling beyond its own tight skin. It's heart-shaped but slightly flattened, as if squished horizontally between two fingers, with crisp, fragrant flesh. This particular cherry variety is hardy, resists cracking and stores well, and is capable of lasting for weeks in chilly overseas shipping containers. Its trees are self-pollinating and, according to a profile published in the Canadian Journal of Plant Science, "precocious." Most importantly, Staccato is a late-season variety that ripens in early August, often eight weeks after cherries from Washington State, North America's largest sweet cherry producer, are yanked from grocery shelves and markets around the world. That's important, because Washington currently leads the global market for exported cherries. It would be lunacy to take their producers on directly. But popular Washington cherries like Bing and Rainier ripen nearly a full month earlier, so by the time the Staccato cherries hit the supermarkets, they have virtually no competition. This gives Canadian cherry producers a huge edge in the global cherry market—one that has helped the industry grow nearly five-fold in just 13 years. This market advantage didn't happen by accident. The Staccato was carefully bred to fruit later in the season by government-funded researchers in Summerland, British Columbia. Back in the early 1990s, B.C. cherries were a tiny farmstead crop bringing in an annual $500,000, but thanks to aggressive investment, scientific innovation and access to overseas markets, it has become an industry that exports more than $75 million worth of fruit a year. That's still a sliver of Canada's total agricultural exports, which add up to about $56 billion annually. But Staccato demonstrates how vitally important science and technology are to Canadian agriculture. If science can help the cherry market grow so quickly, imagine what it could do for other crops. Agriculture has always been the backbone of the Canadian economy. The sector comprises 6.7% of our GDP and employs 2.1 million Canadians—about one in every eight workers, more than the energy and renewable resources sector. Globally, Canada is ranked fifth for agriculture exports, behind the Netherlands, the United States, Brazil and China, and 11th for exports of processed agri-food products. But competition is heating up, and relying on small-scale mom-and-pop farms doesn't cut it anymore: Agriculture has gone high-tech, and if Canada doesn't invest in research and development, we're going to fall behind. Fuelled by aggressive investment in agricultural research and intensive farming, the Netherlands—a tiny country with half the population of Canada—exported €85 billion ($125 billion) in agricultural products in 2016. That's twice as much as Canada. Meanwhile, large developing economies like Brazil's are innovating faster and scaling up more efficiently. In 2015, that country's agri-food and seafood trade surplus was $82.7 billion. That same year, ours, not counting seafood, was $12.1 billion. These countries are beating us at what should be our game. 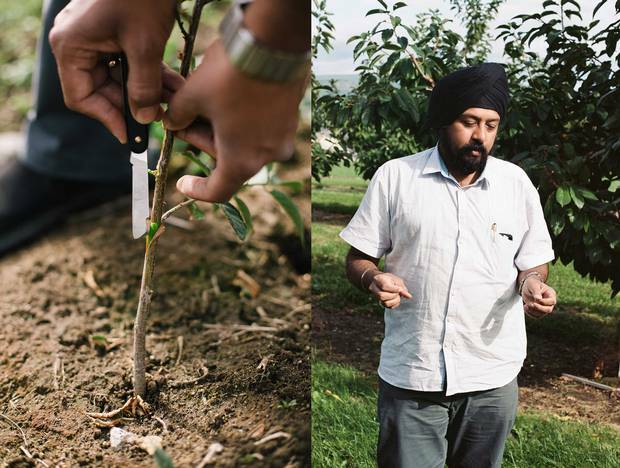 This is the story of a single cherry variety, but it's also a parable of what happens when scientific innovation fuels profitable commerce and public good. Food is part of our future, and the Canadian industry's ability to produce it, improve it, distribute it and sell more of it is tightly woven into this country's fortunes. Staccato's conception was a combination of science and strategy, paired with savvy business decisions and the opening of new markets: a path lighting the way for what must happen if Canada is to remain an agricultural superpower. Staccato's story begins back in 1982 at the Summerland Research and Development Centre, nestled on the edge of glittering Okanagan Lake in British Columbia's interior. The 130,000-square-foot station, perched near the top of a towering plateau, has twice the interior space of the White House. With a 4,500-square-foot glass greenhouse and a long, elevated walkway of creamy-coloured concrete, the building is nearly invisible from the highway below—it has a kind of James Bond villain hideout vibe. This is one of 20 federal agricultural research stations scattered across the country, most of which specialize in different crops or livestock. About 28 researchers work here, supported by a blend of government money, private-sector-funded special projects and other research grants. "For this valley, for this province, it's a big deal," says retired Summerland cherry breeder Frank Kappel. Even now, he says, many locals don't understand how renowned the station's cherry research actually is. The kind of breeding done at Summerland forms the foundation of all commercial livestock and plant crops, from breast-heavy chickens to cabbages guaranteed to last through the winter. Before national governments took on the responsibility for crop and animal breeding, as Canada's did in 1886, private farmers typically mated different breeds of plants and animals with one another to produce offspring that could outwit a wide range of agricultural hazards, including pests, climate and disease, while producing bigger, tastier, hardier progeny. Such a breeding program, in fact, produced one of Canada's greatest commercial successes: the multibillion-dollar canola industry. Rapeseed (as it was once known) is a member of the mustard family that produces an oil-rich seed originally used as a lamp oil and industrial lubricant. It was used in cooking as well, but wasn't ideal for that purpose, as it contained high levels of erucic acid, a chemical found to cause lesions on the hearts and organs of lab rats. In 1968, two Prairie-based research scientists released a low-acid variety of the plant, and the grain—rebranded canola (a contraction of "can" for Canada and "ola," meaning oil)—went on to become our top agricultural export. The Canola Council of Canada estimates the crop is now worth $26.7 billion to the national economy. When it comes to breeding cherries, much of the emphasis is on getting rid of qualities that make them hard to grow, store and transport. Cherries are notoriously fickle. They crack when they get too wet and shrivel on their stems when they're too dry. They are easily bruised, prone to diseases and pests, and make a tempting meal for hungry birds and bears. But as mercurial as they are, cherries have long been considered a luxury crop for which customers are willing to pay premium prices. Breeders, including those at Summerland, have been trying to improve them for a long time. 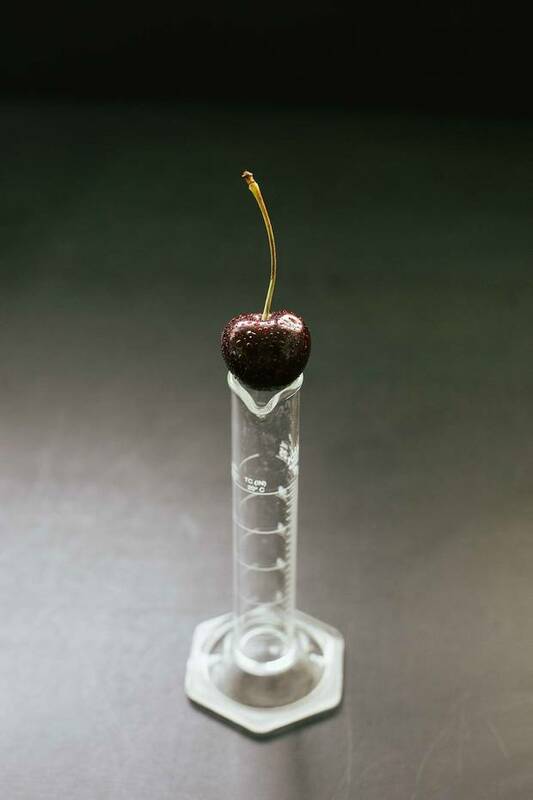 Around 80% of the world's cherry varieties are said to have originated in Summerland, where scientists have bred cherries continuously since 1936. As with the Staccato, almost all new varieties are given names starting with "s" for Summerland. In 1968, using the station's robust bank of genetic material, cherry breeder Charles Lapins—the man for whom the Lapins cherry is named—scored the station's first massive win. 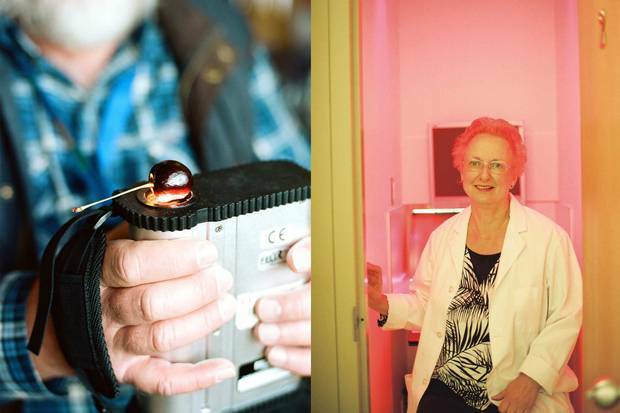 A Latvian refugee of the Second World War, Lapins started at the station as a labourer and worked his way up to cherry breeder, eventually releasing Stella, the world's first self-fertilizing cherry. Stella increased production and saved farmers from the expensive and tedious labour of planting pollenizer trees. It was crossed into future generations, including one successful late-season variety named Sweetheart. Many of Summerland's top-performing cherry varieties were bred by cherry breeder David Lane. Back in the 1980s, he employed the technique of hybridization, crossbreeding genetically different parents to accentuate useful qualities. His methods weren't high-tech: To fertilize a blossom, he carefully removed its petals and spiky male stamens. Then he dabbed the eraser end of a yellow pencil into a vial of pollen to lift a few grains, and touched them to the yellow-tipped surface of the flower's stigma. As the microscopic particles made contact, the flower's pollen tube sucked them downward toward its ovary. Recording the cross in a notebook, Lane and his team repeated this thousands of times, racing against the calendar as delicate blossoms wilted and fell. To complicate matters, there was always the threat of natural pollination: As carefully as Lane tried to control which varieties were crossbred, he couldn't stop bees and insects from doing what comes naturally, so there were always some wild cards on every tree. Back in 1982, Staccato was one of them. That spring and summer, from a single blossom growing on a Sweetheart parent, Staccato slowly took shape. By August, the tree had produced a firm, dark-red fruit that caught Lane's attention. He plucked it from the tree, stripped its flesh and put the pit in damp, cold sand to germinate. It was then planted for sprouting alongside thousands of other seeds in the greenhouse over the winter. "Breeding is a numbers game," says Kappel, who took over from Lane in 1994. "You want to get a high number of seedlings and hope one of them pans out." The little Staccato seed soon sprouted, growing into a two-foot-tall sapling healthy enough to be planted outside two years later. For six years, Staccato grew leaves, got taller, survived hard frost and grew again. All the while, Lane observed the fields. Summerland's experimental orchard was (and still is) a graveyard of skinny stumps, a rolling field of trunks that hadn't made the cut. If trees were diseased, covered in mildew or simply not thriving, farm technicians flagged them with blue tape, what Kappel calls "the ribbon of death." Once flagged, each genetically unique tree was scrubbed out of existence by a single swipe of a chainsaw. In late April 1990, the pink, blushing blossoms of the Staccato tree unfurled themselves to the world. Still flanked by hundreds of other trees in a sprawling acreage above the research centre, the tree was identified only by its number: 13S2009. It would be another decade before Staccato would be released commercially to growers, but Lane had already noticed an intriguing quality: Its cherries ripened weeks after even some of the station's latest-fruiting trees. While Ontario has a small sweet cherry industry, the vast bulk of Canada's crop, around 98%, is grown in and around the Okanagan Valley. Still, B.C. 's 4,500 planted acres come nowhere near the 75,000 acres grown in neighbouring Washington State. Once farmers there entered the cherry industry in force—a boom partially fuelled by the American-bred Bing cherry—Canada's industry was forced to its knees. It's still impossible for Canadian growers to compete on volume, and every summer Canada is flooded with cheap peak-season cherries from Washington State; this country is its biggest customer. Throughout the 1980s and 1990s, a few local farmers worked closely with Summerland researchers to aggressively plant new shoulder-season cherry varieties, including Staccato's parent, Sweetheart. One of those farmers was Hugh Dendy, a regional pioneer who now grows cherries in New Zealand. He discovered a niche selling Summerland cherries into increasingly profitable overseas markets, during periods when there was no high-quality competition. 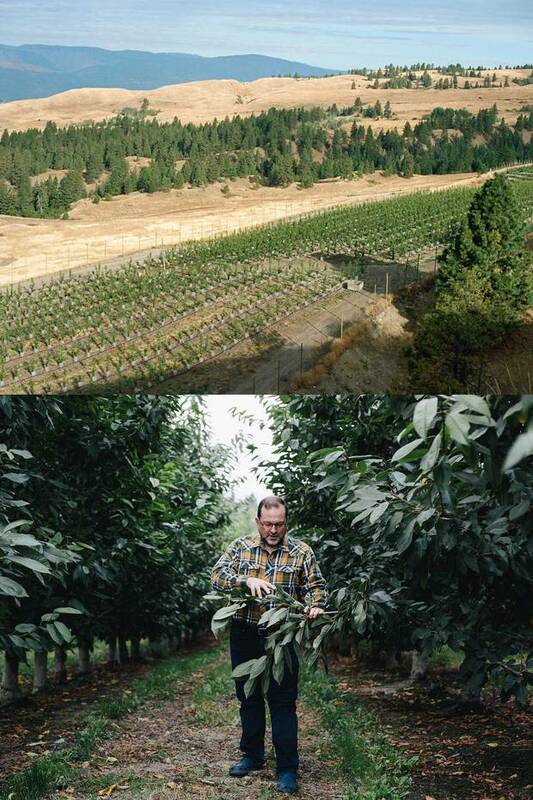 As news of Dendy's profits spread throughout the early 1990s, neighbouring farmers started planting their own large plots of Summerland-bred cherries. By 1994, after Kappel took over from Lane, rumours about Staccato and its exceptionally late fruiting had started to circulate. By 2000, a handful of farmers had planted test plots and were pleased by the results. Even then, a few had an inkling that this cherry, by far the latest-ripening variety they'd even seen, was one they could ride all the way to the bank. Introducing a new fruit or vegetable to a hungry market of grocery middlemen and consumers is a risky business—it's important that farmers like growing it, but it's more important that it sells. For every successful new product, there will always be many more flops, says Kappel. So, over the past few decades, Summerland researchers have increasingly involved themselves in the messy science of predicting consumer taste. New varieties are now routinely subjected to blind tests in which they are rated on deliciousness, appearance and texture. At a test held on a sunny late-September day last year at Summerland's annual open house, sensory researcher Margaret Cliff pitted two established cherry varieties—the German-developed Regina and Staccato's parent, Sweetheart—against two experimental Summerland-bred cherries, including SPC276, a Staccato offspring that's showing potential. That morning found a raft of volunteers, 28 children and 119 adults, sitting in front of voting-booth-style screens, where they received four small plastic cups on a plate, each labelled with a number and each holding a single cherry. Using a paper questionnaire, they rated the taste and texture of each sample on a nine-point hedonic scale ranging from "like extremely" to "dislike extremely." At other tables, they rated the fruits by appearance. A long-limbed woman with short blonde hair, Cliff worked the room, shuttling cherries to and fro, and recruiting participants. "When consumers get into this," she says, "they love doing it. We get pages and pages of comments." Knowing what consumers actually want—not what they think they want or want to want—is an early step toward selling a profitable product. The sensory industry is one of the newest, fastest-growing segments in food science, as companies rush into the void of understanding what drives taste. 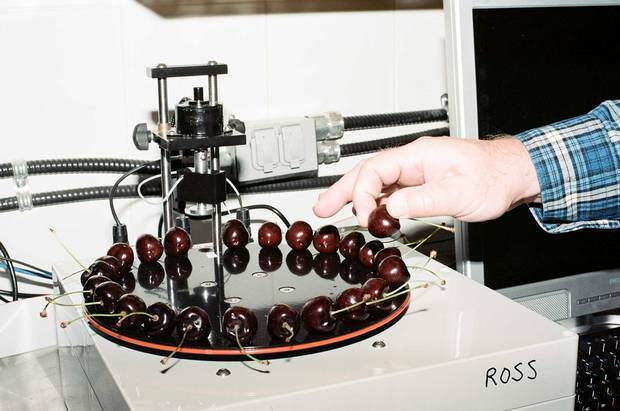 "You can't stick a cherry in a machine and get how good a quality or taste it has," Cliff says. That makes human feedback vitally important. "We can then say to industry, 'Of the short list you have, these are likely the ones that are going to fly in the marketplace.' "
When Cliff ran similar experiments on Staccato, back before it was even given a name, it showed great promise. It had a firm texture, high sugars and balanced acidity—all good news for retailers looking for repeat customers. "Ninety percent of new food products fail in the marketplace," says Cliff, who says it's part of her job to make sure any cherry released by the program is a slam dunk. "It's just part of what goes down the drain in this world, where consumer preference and consumer choice are constantly evolving." It's not enough, though, for a cherry to simply taste delicious. Farmers also have to be able to get them to customers in good condition. Part of what makes Staccato so appealing is its ability to last for weeks at controlled temperatures, rolling across the ocean to arrive in China for the annual gift-giving Moon Festival: Presented like fancy chocolates, a box of cherries makes a cherished gift. So Summerland's researchers are currently investigating the best way to ship the fruit thousands of miles in massive shipping containers, even embedding tiny metal sensors into individual cherries and following them through processing, storage and shipment. Many customers around the world, particularly in Asia, are willing to pay $5 to $7 or more per pound for cherries, compared with the paltry $1 to $3 fetched here in Canada. While much of that profit is eaten up by freight, duties and markup, farmers still make more money. Ten years ago, Peter Toivonen, a Summerland researcher specializing in long-distance fruit storage and transportation, was on a work trip in Thailand when he stumbled across a vendor selling B.C. cherries in a Bangkok market. Stacked into small, precarious pyramids, the fruit wasn't sold by the bag or the pint, but individually, one cherry at a time. Could Staccato help Canada tap that lucrative market? To find out, new varieties are put through stress tests in the concrete basement of the Summerland research centre, which contains some of the most advanced agricultural testing equipment in the world. In a recent storage experiment, several cherry varieties were held in a chamber set to 20 C to see how long they would last before they began to rot. Staccato outlasted or matched every other variety. Next up is a tougher test: Toivonen recently set a temperature-controlled storage room to a punishing 30 C and 90% relative humidity (he taped two photos of palm trees to the wall to complete the tropical setting). As cherry growers try to increase exports into Asia, where outdoor markets are a common way of retailing fruit, it's Toivonen's job to know how new varieties handle the heat. He plans to test cherries in the room soon and suspects Staccato will knock it out of the park. Standing on a massive East Kelowna mountain, David Geen squints into the sunshine and surveys the landscape, his hands tucked into the front pockets of his jeans. A bulldozer transforms the grassy hillside, ribbed with massive dirt furrows, against a backdrop of tall, swaying pines. This barren, sandy plot will soon be a new orchard, part of a land lease designed to help Geen's family hold onto its position as one of Canada's largest producers and exporters of premium sweet cherries. Above this construction site is another established, fenced-in orchard with a long row of experimental new varieties, most bred at Summerland. They're thriving, with lush, serrated leaves flapping gently in the cool breeze. The fruit's fussiness makes growers like Geen hungry for hardier, more reliable cherry varieties. A really hot spell can cause cherries to stop growing for the year and shrivel on their stems. Heavy rain late in the season can ruin an entire crop: Surface moisture causes cherries to crack; once 40% have cracked, Geen says it's not worth sorting out the bad ones. During harvest, Geen's wife, Laura, stays up all night monitoring the weather. If she sees rain, she notifies Geen or one of his farm managers, and they call in the helicopters, which are flown by local pilots trained to fight forest fires. As many as 10 choppers descend on the wet orchards en masse, flying at 20 kilometres an hour, two metres above the treetops, blowing surface moisture from cherries with their powerful blades. "It's kind of like a war zone out here," says Geen. "But the varieties that have come out of Summerland, generally they get about half the level of rain cracking that the old standard varieties would get." At the same time, farmers will drag giant fans or blowers into fields and try to save as many cherries as possible. "I don't go to Vegas, ever, because I feel like I have a 600-acre casino," says Geen. "I don't need any more risk." Geen remembers the exact moment he knew it was time to double down on late-season cherries. It was in 2013, as he watched shipping containers of Staccato being opened in a giant wholesale produce market in Guangzhou, China. Geen stood in the crowded market as workers unloaded the first box of cherries. Within moments, a crowd of bidders snapped them up. "They would sell out the minute they were opened," says Geen. Staccato had proven itself as a reliable long-distance traveller, and buyers were willing to pay premium prices for it. While Geen had shipped Staccato to Hong Kong and Taiwan before, he knew the mainland was different. "China is the big enchilada," he says. Last February, the national Advisory Council on Economic Growth chaired by McKinsey & Co. global managing partner Dominic Barton issued the second phase of its media-dubbed "Barton Report." The document focused on sectors capable of kick-starting the country's economy, and at the top of the list was agriculture and processed agri-food. As it notes, around three billion people in emerging markets are expected to enter the middle class between 2010 and 2030. Many of them will come into their new-found wealth in cherry-loving countries like China, Malaysia and Thailand. And while 2016's $13 million in exports to China pales against the $38 million that headed to the United States, Canadian cherry growers only secured access to that market four years ago. By proving to Chinese regulators that B.C. cherries were free of disease and pests, through what one grower calls "a combination of bureaucracy and science," growers here got the green light to export. "It's amazing how those cherry farmers are all of a sudden connected to parts of China they've probably never heard about," says Barton. Thanks in part to new markets in the Far East, total exports of B.C. sweet cherries have quadrupled since 2003, jumping from 2,031 metric tonnes to 9,392 metric tonnes in 2016. Sweet cherries are now British Columbia's most valuable tree-fruit crop, and the industry is still growing. Geen hopes to have access to the Japanese market by 2019, and South Korea soon after. "Our whole business model is built on what Summerland has done," says Geen. "The late varieties, the rain-resistant varieties, the really good eating varieties, the larger size—all those things they have been breeding into the cherries set us apart." A reputation for a premium-quality, consistent product is something he thinks Canada should leverage as it enters preliminary free trade talks with countries like China and India. 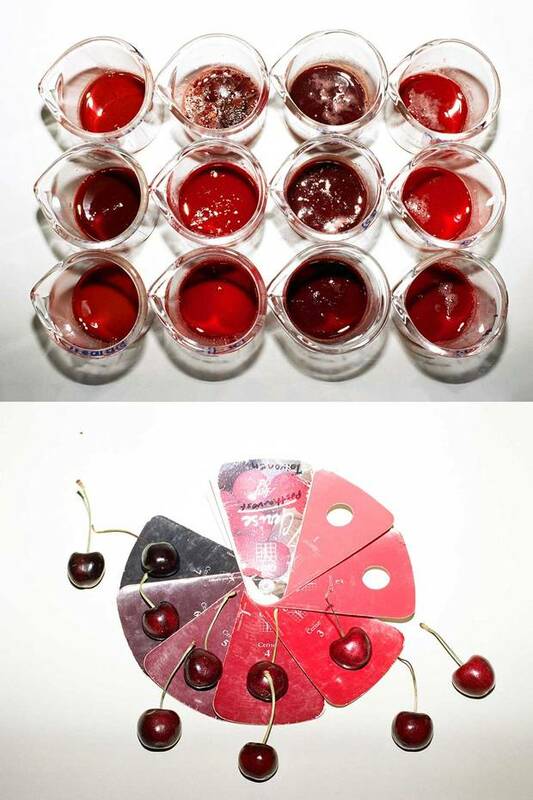 "Even though cherries are a tiny crop in the grand scheme of things, they're also a flagship," he says. "If we've got a very strong, diversified economy, having high-value specialty crops as one component of that, it makes us stronger as a country than if we're just the hewers of wood and drawers of water." In 2010, Dominic Barton visited a Brazilian soybean farm so large he had to tour it by helicopter; it was 18 times the size of Manhattan. "That two-day trip was like a slap in the head," he says. "It was like being at NASA's Mission Control in Houston: big drones flying the property, how they plant and fertilize the fields with linked-up satellites. It's precision agriculture." Brazil, like the Netherlands, is doing a better job at funding and encouraging collaboration between huge global food companies, federally funded researchers and its academic institutions, says Barton, which is one reason they're pulling ahead. Large-scale, modern agriculture is and will be a new kind of work, and it will not necessarily entail the nostalgia-toned, break-of-dawn wake-ups many associate with farming. A chance to move his family up the food chain inspires Geen. "We've built up more than just a farm," he says. "We grow the fruit; we also pack the fruit and sell the fruit. There's a lot of opportunity for my kids beyond just driving a tractor." To encourage intergenerational mentorship, Barton says Canada needs a Rhodes-style scholarship aimed at promising young farmers and new strategies to attract more workers, particularly children from farming families, toward this increasingly high-tech work. Over the past five years, Canada has invested $3 billion in supporting agricultural innovation, upgrades and market expansion through its Growing Forward 2 program, which included $1 billion in federal initiatives and $2 billion of cost-shared projects with the provinces and territories. That money runs out in 2018 and will be replaced in April by another five-year, $3-billion program, aiming to grow Canada's exports to $75 billion by 2025. Yet a 2017 report by the Agricultural Institute of Canada found that "total expenditures by the federal and provincial ministries of agriculture in support of the agriculture and agri-food sector as a whole have gradually declined over the past decade." Despite ranking eighth worldwide in scientific production of agricultural research, Canada's number of patents has "progressively dropped." The Netherlands, by comparison, spends about twice as much public money on agricultural research each year, including funding universities and vocational schools—and that doesn't include investments from private corporations. Between 2004 and 2011, that country doubled its exported agriculture products, powered partially by, according to one Organisation for Economic Co-operation and Development report, "a strong focus in finding means for producing more with less energy, water and space." Perhaps Canada's abundant land and natural resources have made us complacent, Barton suggests, as more constrained countries like the Netherlands and Israel learn how to farm more productively using fewer inputs. Beyond this, the arguably harder, more nuanced work is in building and maintaining the ambition, shared priorities and tight, efficient relationships between researchers, private industry and federal institutions the Netherlands is well on its way to perfecting. One reason that country punches above its weight, says Barton, is because "you've got researchers literally bumping into people in the ag-food companies who are saying, 'These are some problems we're trying to solve.' " Collaboration can be challenging in a country as geographically large and diverse as Canada, but this is exactly Summerland's primordial mud: physical proximity, overlapping interests, and a willingness by private and public institutions to jump at informed opportunity. "The Netherlands exports way more than we do," says Barton. "I find that shocking. But it is, again, when people focus and collaborate more." As global cherry breeders work to match Staccato's late season, Summerland growers are still aggressively introducing later, larger, tastier, hardier cherries. Geen is actively planting experimental varieties on new sites at unheard-of altitudes around the Okanagan Valley. One of his most promising new cherries is the late-season variety Cliff was taste-testing last year, called SPC276. It was bred in 1995 by Frank Kappel; Staccato is its parent. Two decades after Staccato's initial pollination, and years after its breeder's retirement, Summerland might, yet again, have a money-making, season-pushing, revolutionary fruit on its hands. But only time will tell. This story was supported by a Marian Hebb Research Grant from the Access Copyright Foundation. Research assistance by Sekou Hendrickson. 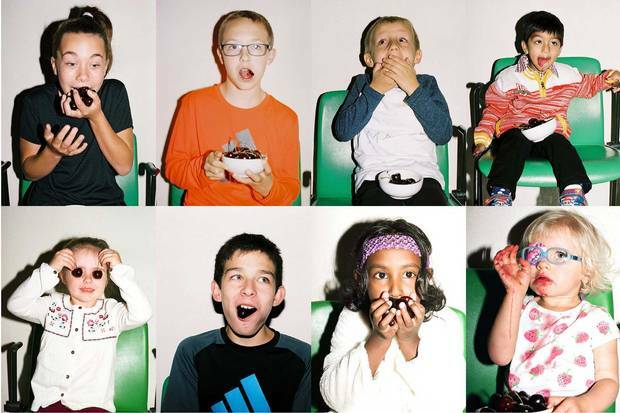 Photographs by Alana Paterson.